I’ve always had a bit of a love affair with shoes. I can remember shopping for my wedding shoes and falling in love with them so much that I went back and bought them in a different colour to wear for my hen night. Before I continued to purchase the different colours until I had five pairs of the same shoes. As I have become a mum, my days of beautiful heeled shoes are sadly behind me as I don’t have the occasions to wear them. 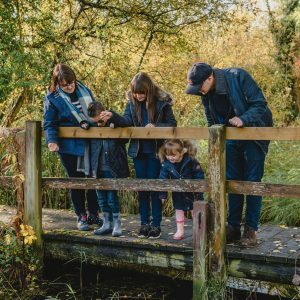 For me, shoes and boots are about comfort as I don’t want to be worrying about sore feet when I’m out and about with the children. 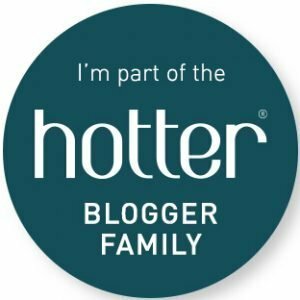 Last month I was invited to the Hotter Shoes store in Norwich to learn more about the company, their shoes and see whether I could get my #HotterMoment. 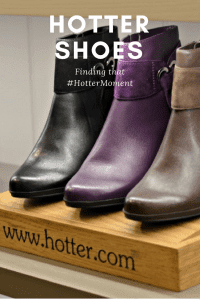 The Hotter Shoes store in Gentleman’s Walk, Norwich has been open since 2010 and has recently undergone a refit. 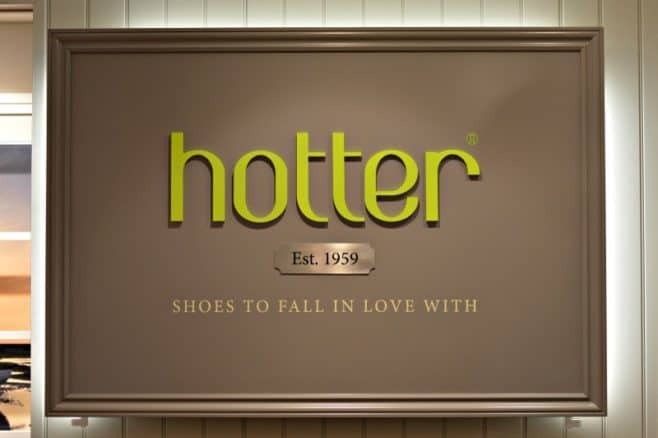 Whilst Hotter Shoes first store in Southport performed year after year at the top of all their stores. Since the opening of the Norwich store, they have been the highest selling store within the company. It just goes to show how much Norwich and East Anglia appreciates good quality and comfortable shoes. 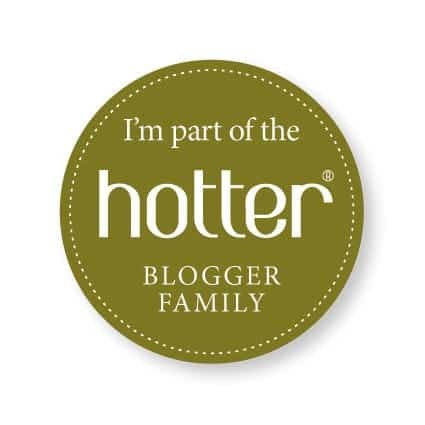 The Hotter brand was formed back in 1959 and now boasts 76 stores nationwide as well as online trading within the UK, USA and Germany. Their call centre based in Lancashire is open from 8am to 4am to cover the time difference in America. That’s right, the call centre covering America is still based next to their Skelmersdale factory and answers a whole host of questions from both sides of the pond 362 days of the year. Whilst many people will select a pair of shoes based on how they look, which there is nothing wrong with that. However, Hotter Shoes are so much more than just a pretty pair of shoes. Hotter designers continue to hide secret #ComfortConcept features in every single pair of shoes and boots including wiggle room, soft cushioning and flexible soles. You can really get a feel for the research and development of the Hotter brand when you pick up a men’s pair of shoes which you would think by looking at them will be heavy and inflexible. Instead, you pick up a shoe that is light, flexible and when you squeeze the insole with your hand you can feel just how soft and comfortable that pair of shoes is going to be. Having looked online before attending the event I had a pair of boots in my head that I thought suited by style and looked comfortable. Like a kid in a sweet shop, I was tempted by several different pairs of boots and even a pair of shoes. However, as soon as I popped on the Whisper Boots that I had seen online I knew that these were my #HotterMoment boots. With a dual zip for ease of slipping on and off along with ruched leather detailing. Once on they are snug and supporting around my ankle and so very comfortable underfoot. 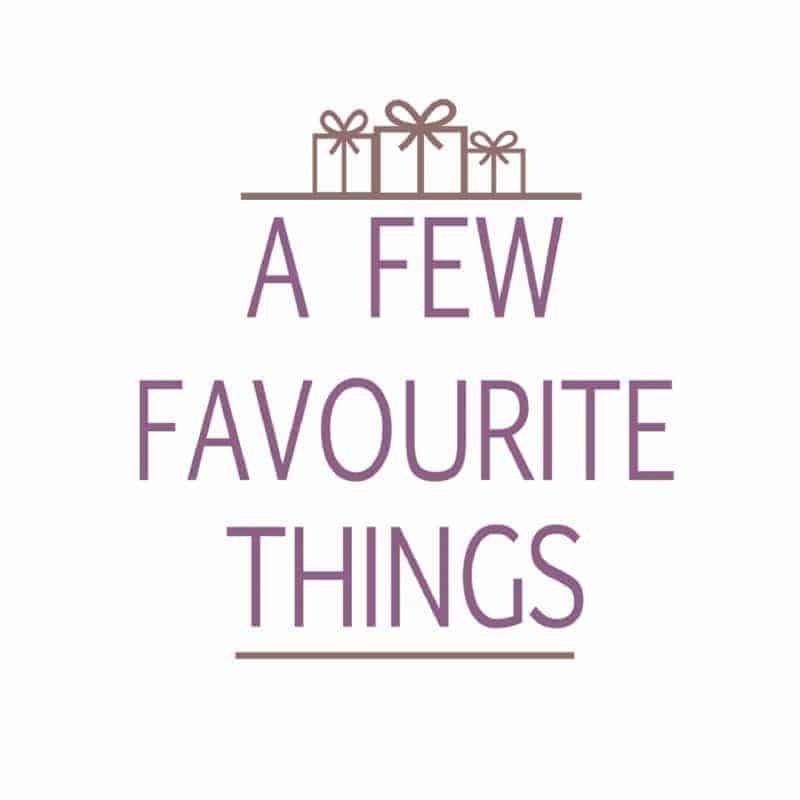 Opting for black as it would look great with jeans, leggings or trousers they look and feel like a pair of boots that will keep me comfortable throughout the autumn and winter. Disclosure: I was invited to a Hotter Shoes event, where I received a pair of boots and a handbag FOC for attending. I am totally addicted to Hotter shoes now and I particularly love their boots, they really are so comfortable. 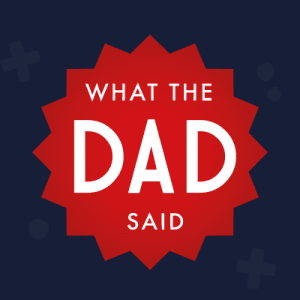 I can see why you chose the Whisper boots, I had my eye on those too. I wish I could have attended this event! I am just loving the purple!